The Spectrum Center Advocacy Board serves as a space for students to address campus policies related to sexual orientation, gender identity, and gender expression. Consisting of students who represent a wide range of academic levels, disciplines and social identities, the Board will examine the institutional climate for students and explore ways to enhance students' experience. In its capacity , the board will serve as an important resource to voice student concerns and ideas and to help guide the work of the Spectrum Center. Through involvement in this work, you gain the following skills that will assist you in other organizations once you graduate! 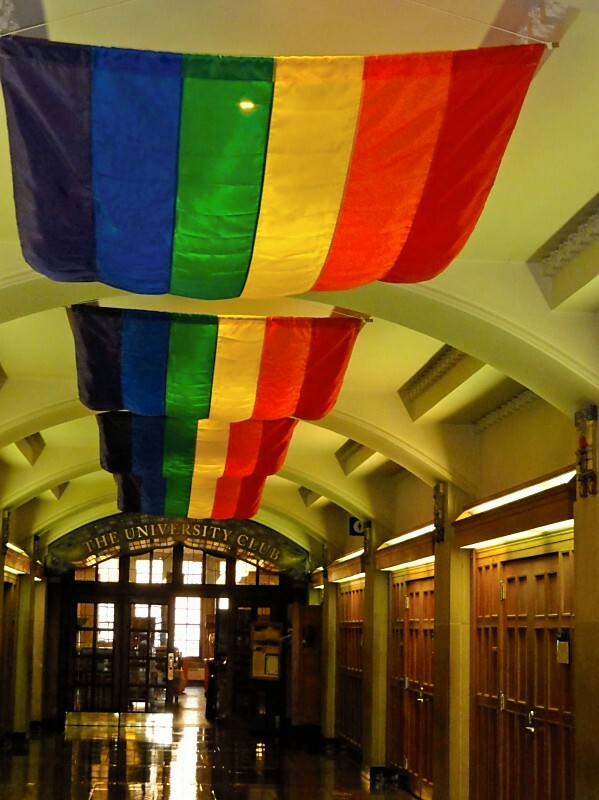 Previous accomplishments range from the implementation of the Gender Inclusive Living Experience (GILE), training with the Office of Admission Staff, addition of LGBTQ Health website link, and the development of resources for international LGBTQ students. Currently in process are 1) create APP for Gender Inclusive Bathroom locations, accessibility routes and more and 2) discussions of LGBTQ climate in Greek Life. Now in its sixth year, the board invites new members to continue developing well-informed proposals for change based on ongoing and emerging concerns, both shared and specific. If you are interested in applying to be a member of the 2017-2018 Spectrum Center Advocacy Board, please consider the important information below. You can email spectrumcenter@umich.edu with any questions. Aplications are accepted throughout the year. Meetings are scheduled on Thursdays from 7:00pm-8:30pm and will occur every other week.